Posted by Jon in Marvel, Mezco, One:12 with 0 comments. 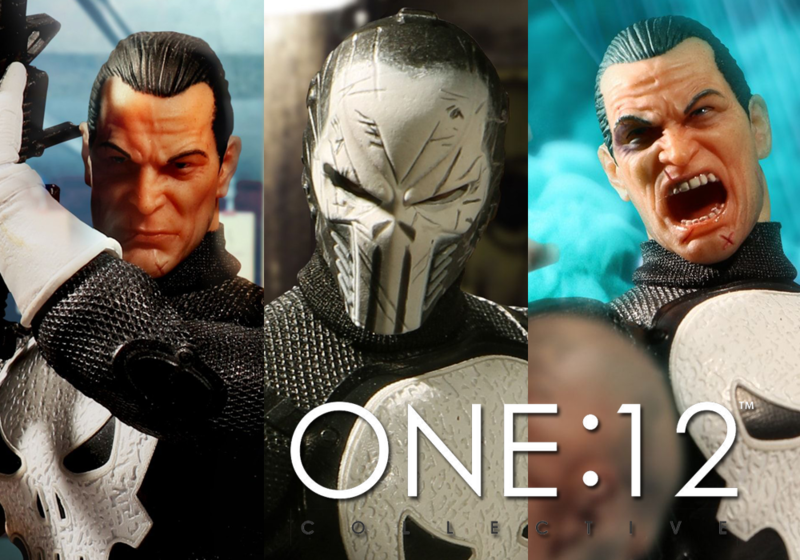 Mezco has announced their second One:12 Collective summer exclusive, and it’s none other than Frank Castle aka The Punisher! This seems to be similar to the previous ‘classic’ version, but with some new accessories including a dope alternate head. This set will only be available direct through Mezco or at their San Diego Comic Convention booth # 3445. If you want this, I would move quick as these exclusive preorders tend to not last long. Each One:12 Collective Punisher: Special Ops Edition figure is packaged in a collector friendly box, designed with collectors in mind.